The year was 1986. It was a different time. CD players were still new and exotic... and I didn't have one yet; that meant I did all my listening on cassette tape. They were handy little things that you could carry in your pocket and play just about anywhere, but you couldn't skip forward to the next song quite as easily as you can with a CD or an MP3. That meant you had to sit and listen to an entire side of an album. As this was early in my musical history (I was 15) I didn't have a whole lot of albums in my collection either and therefore my brain was relatively uncluttered with songs. These were the days when a single newly purchased album was in rotation for a LONG time. I took this time to learn all the lyrics and every tiny nuance of a recording before moving on to another album. As a result, many of these early recordings are permanently etched into my cerebral cortex. When I hear them now I'm immediately brought back in time to very specific periods of my life. 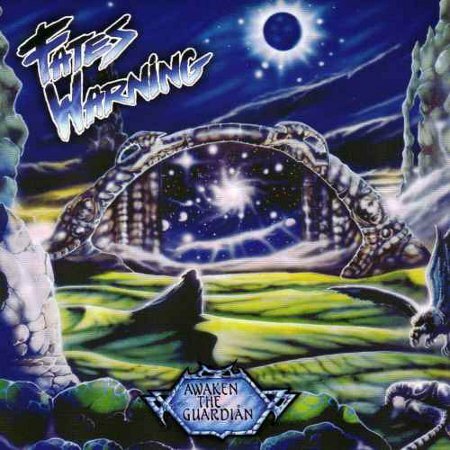 Fates Warning's 'Awaken The Guardian' is one of those albums. I get goose bumps even before I hear it, just at the sight of John Arch's name. If you read my review of 'Sympathetic Resonance', you know that John left not only Fates Warning, but the music business entirely in 1987 and had only made one brief appearance with the two-song EP 'A Twist Of Fate' in 2003. He did say though that he has "kept an ear to the ground to hear what is breaking through." 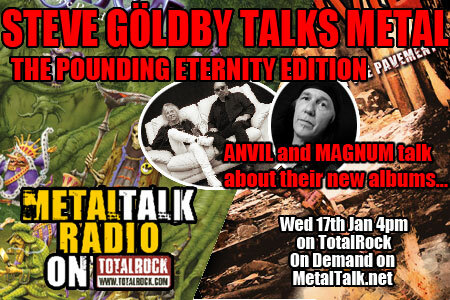 Like Paul Dianno, Michael Kiske, Joey Belladonna or even Rob Halford, John had to stand by and witness his replacement. "I have to admit it is a weird feeling listening to your old band with a new singer at the helm, But Ray [Alder] did a fine job fitting the bill. His range was certainly incredible and if anything, I remember paying more mind to the songwriting. I'm sure it was just as difficult for Ray and I am glad that he found his own identity on the following albums." 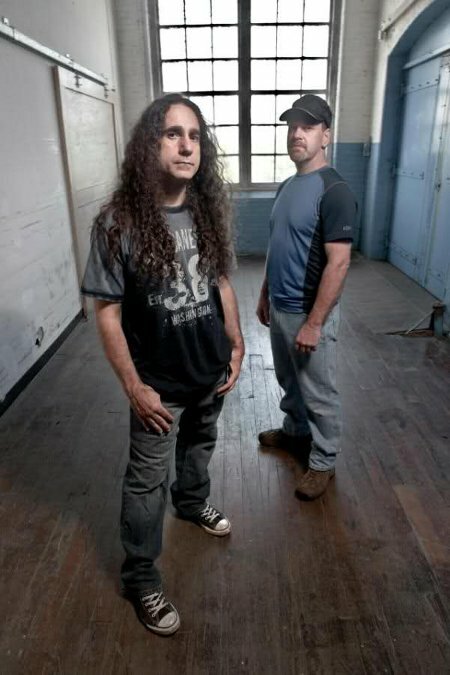 To this day many Fates Warning fans are divided into either the Arch or Alder camp. When I snap out of my trip down memory lane and hit play the music is vintage Jim Matheos, but at the 56 second mark when John starts singing I feel a chill go up my spine and all of a sudden I'm right back to being 15 again. John has an unmistakable voice and melodic writing style that he attributes to his Irish heritage; "I might have a little Celtic twang going on." What's astonishing to me is that his voice is so well preserved. When I asked if that might be because he hasn't been on the road for the last 25 years he joked; "I would say that at least it has preserved my sanity, but even that is questionable." ...he also auditioned for Dream Theater at the request of Mike Portnoy. Pushed further he admitted that, "If I had continued singing as hard as I did back in the Fates days, something would have to give eventually. I believe like every vocalist, preservation has to come at a price, and I feel If I had continued a rigorous touring schedule, I like every other singer would have to make some concessions." Sometimes though, what we hear as fans and what artists hear themselves are completely different. John agrees that his "plan was to sing emotionally and melodically and to use more of a vocal range on 'Sympathetic Resonance.' 'Awaken The Guardian' was ( at times) over the top and too high in the vocal register. This album is still difficult to sing start to finish as was 'Awaken The Guardian,' but I feel every vocal line had its place and was not for the sake of over embellishment." One quality of John's vocal melodies that has always impressed me is his ability to make his voice leap and twist in unexpected ways. For years I wondered if he improvised those acrobatics in the studio and the short answer is; "Yep. Sometimes out of spontaneity, and sometimes out of necessity." I guess in the heat of the moment you have to go where your voice takes you. I think John's voice can go just about anywhere at any moment and I love that unpredictability. It's not often that two artists are so frequently associated with one another for so long, especially if they're not in the same band. 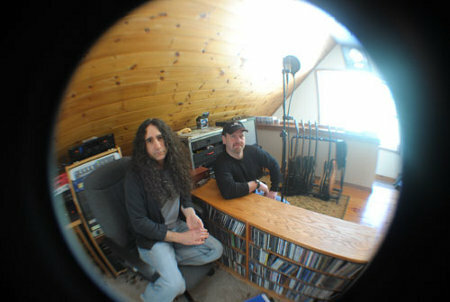 But every recording that John has ever made has been in collaboration with guitarist Jim Matheos. "Working with Jim has been the default that I always seem to venture towards, partially because of familiararity and a comfortable creative enviroment, but more so because I feel confident that because we both work in pretty much the same manner and that the outcome will eventually be a good one. I have never been the initiator of any musical ventures, so to think I would go outside my box at this point... is questionable, but I've surprised myself before." 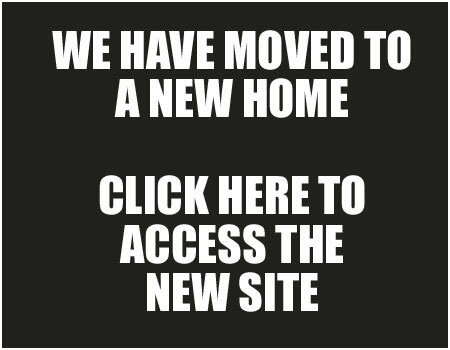 The big question that everyone seems to have now is whether we'll have to wait another seven years to hear from John again? "Jim and I had a fun and challenging time making this record, and I'm sure as this was therapeutic for me, there will be more where that came from sooner rather than later." 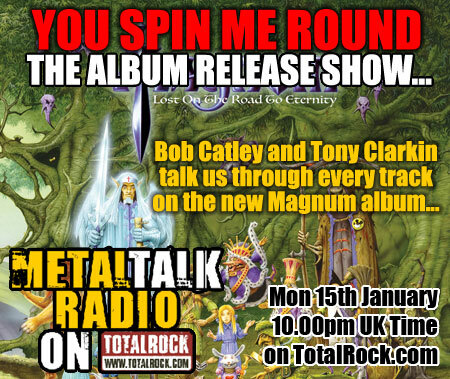 Now all we need to do is convince the original Fates Warning rhythm section of Joe DiBiase and Steve Zimmerman on bass and drums respectively to get involved. John agrees that; "it would be great to work with Joe and Steve someday also." One of the biggest musical regrets I have is that I never got to see John sing live with Fates Warning. Hopefully I'll get a chance to see the 'Sympathetic Resonance' band play live. As it stands now there is at least one tentative European show planned, but nothing beyond that. If there is to be a US show it would most likely be in New York City... that's just a short train ride for me. Fingers crossed!